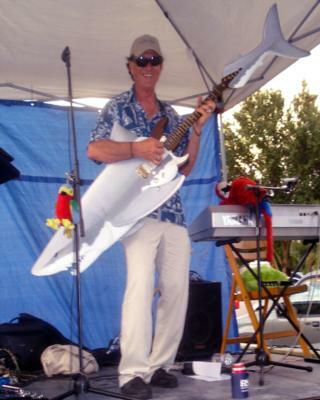 Key West Keith is a Jimmy Buffet tribute artist working in the Tampa Bay area. 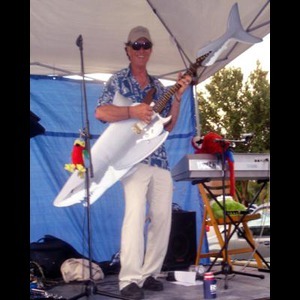 Keith travels all over the state of Florida singing for Parrothead party's, home and nightclub events, corporate evrents and most any event that needs Buffet and Beach music. Keith also does a lot of novelty and and funny country tunes. If you are looking for a howl at the moon good time you need to add Key West Keith to your roster for your next event. This show is completely self contained with state of the art sound and lighting supplied by Keith Coleman. Keith performed at the Holiday Inn on St. Pete Beach for 13 years and spent 7 years with Holland America Cruise lines. He also performed for 2 years with NCL cruise line in Carribean Islands. He as performed at Jimmy Buffett's Margaritta Ville in Key West and Boomerangs Beach Resturant in Key West. If you are looking for a professional in every sense of the word Keith is your guy. Keith was great, he looks acts and sounds like Elvis. he is a true southern gentleman like Elvis and he made my wife's 60 birthday memorable. He's the real deal and is TCB baby!! Bruce & Kathy Clark PS he does a mean rendition of Johny Cash too. Keith was a real asset to our party. He was on time, very professional, very talented and friendly to the guests. Wish I lived in Florida so I could hire him again. Please note Keith Coleman will also travel to Largo, Clearwater, Saint Petersburg, Bay Pines, Seminole, Indian Rocks Beach, Belleair Beach, Safety Harbor, Dunedin, Tampa, Oldsmar, Ozona, Palm Harbor, Crystal Beach, Apollo Beach, Sun City, Ruskin, Tarpon Springs, Gibsonton, Odessa, Anna Maria, Holiday, Palmetto, Riverview, Sun City Center, Elfers, Lutz, New Port Richey, Ellenton, Bradenton Beach.